Home » Texas Rangers » Potential Ranger. Yesterday an article from Mark Feinsand on MLB.com listed the one free agent each team is most likely to target. At this point, it’s just pie-in-the-sky thinking and having to say something in order to file an article. But it is interesting. I haven’t thought this through, and probably won’t, so these are all off the top of my head thoughts. Why? He’s bound to be relatively expensive and want a long term deal. Long term deals for pitchers, particularly Asian pitchers who seem to be injury prone is risky. For it to be useful it would have to be a four or five year deal as it will be a minimum of three years before the Rangers are competitive (read that play off quality) and the Astro’s window possibly closes. Nothing says they can’t make deals, develop youngsters and keep it open. The Rangers can piece together a passable rotation with Minor, Jurado, Mendez Sampson and (Smyly, Butler, Gallardo, a cheap pickup, or ? from AAA). Looking at it long term, methinks spending high dollars for a pitcher at this point would be fruitless. We do need more and better starting pitching now. So if we’re talking about a deal at the top of the market, I don’t think the dollars are as important as age and a “longer term deal,” preferably a front loaded one, too, so we have more money for more toys later in the contract when we’re more competitive again. But if we’re talking about making a deal nearer the middle of the pack to the more speculative end of things, I think low dollars and shorter term (to start) is the way to go. My point being the last thing we need at this point is being saddled with an expensive Choo on the mound for years and years. Is that like good horns? 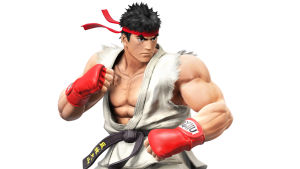 Ryu isn’t a household name. He might not command top dollar. The Rangers need pitching. To me the notion that if they just tank is unacceptable. If you are trying to build a winning culture, you do that by trying to win, not by sending your guys out into battle knowing they are going to get slaughtered. Difference of opinion. Ryu isn’t a household name, but you can bet your bottom dollar team scouts are well aware of him. He’s going to bring a fair price. What’s fair? I have no idea, the market will determine that. You build a winning culture like you build any other structure, a piece at time, starting with the foundation. There are no quick fixes, the Rangers should have learned that by now. This team has more holes than a gill net. They can’t hit and with a few exceptions are not that good in the field. They don’t have a proven catcher. If Beltre doesn’t come back, and even if he does, third base is a crap shoot. Same with the OF. You can sort of cover for Mazara’s lack of range with a CF and LF with speed and range, but it’s far from optimal. The line up is so LH heavy it’s scary. They are solid at SS and 2nd if Odor stays consistent (I think he will). The low team BA doesn’t allow for carrying low average power hitters (Gallo, possibly Guzman) it’s a good thing they can play defence. You figure the delta of a top/middle of the order pitcher over what the Rangers have and you get maybe ten more games in the win column. Worth it? The point on catching is huge. Outside of pitching, unless you have a ton and a half of pitching, catcher has to be a top concern over the next couple of years with this young team with young arms coming up. Catcher is a CRITICAL position and should be at the forefront for the Texas brass to address by 2021 at the latest. How???? I don’t know, that is their job. I look at Jurado as a bounce back and forth piece from the farm. Don’t think he is ready to stick for a full year. Jurado’s only saving grace as a pitcher is that he happens to be on the Rangers at an opportune time. He’s a young version of an old Colon. The Rangers payroll is around 80 mil right now, so they have the money to spend will they that’s the question. Other than centerfield and 3rd this team is pretty much set for the next 4 or 5 years. So if the rangers wait 3 or 4 years for minor league pitching to develop ( or if at all ) by then your core players will be gone or over priced. As a fan I want to win sooner rather than later. What I would like to see happen is put the money in pitching and let’s see what happen. There’s enough pitching in the FA market to make the Rangers competitive. That’s exactly the point, Tony. This core is going to be gone by the time the Rangers pitching arrives, if it arrives at all. I have heard this same song and dance for a number of years. “Pitching is a just a couple of years away” and it never arrives. I know there are supposedly some good position players coming up too, but this organization doesn’t have a good track record for quality prospects. I would love to see Corbin in a Rangers uniform but I do think he is out of JD price range. But still some very good pitchers left, I like Ryu, Eovaldi and Gio Gonzalez to add to the pitching staff, it would take multiple yr contracts and about 40 mil a year. Move Gallo to third sign Adam Jones and bring up Heineman strength the outfield. I think with these moves the rangers could be a very strong team for several years. Again, I don’t like the idea of giving up. But if they are going to give up, then why go after a Drew Smyly? Why not just go with guys like Bibens-Dirkx, Jurado, Mendez and run Martin Perez out there and be done with it. Totally slash pitching payroll. Lose 120 games like the Orioles. Well that’s MLB of today, crash it and hit restart….had we not waited we would be two yrs away…now???? Smyly was a gift from the Cubs and a no brainer, lower cost deal for the Rangers who need to fill slots this year. They still have to field a team this year and that is where Smyly fits in and also as a perspective trade piece because this is a rebuild. The key signing will be someone who fits in through year 2020 or even 2021. Perhaps one signing like that a year through 2021 while the ultimate hope and paramount need is that the Rangers can plug in a new rook once a year to go along with the signings. That is a reach but what this rebuild looks like to me. The rooks can be bounced up and down from the farm to go along with the couple of retreads that are signed every year. They need 7 or 8 potential arms every year until they round out a rotation of 5 or 6 solid guys and have several rooks in the wings. Been waiting 40 plus years for the Rangers to build a sold pitching staff from within, can’t wait another 40 I will be Dead from old age. Roger that , I am getting up there as well. I believe a pitching rotation of Minor, Smyly, Ryu, Eovaldi and Gonzalez and a good right handed hitting outfielder and treak the pen a little could possibly get us 25-30 more wins and put us in a wild card hunt. It would rise the payroll up into the 160 range that’s a lot but wouldn’t break the bank. That looks great on paper and even better to fans but the chances of that happening would be significantly less than zero. Many, many teams will be competitively bidding on these arms without going out of their minds with overpaying them as we witnessed in last year’s FA market. I doubt that any one team will land two of the arms mentioned, let alone three. If they are going to contend the would need two outfielders, or one and aa third baseman and a catcher, minimum. Each of which can hit .270/.280 or better to carry the rest of the team whose best bat hit .264. Gallo is going to have to hit 30 or 40 point higher and the BP is going to need more than a tweak. As much as I like IKF he just isn’t an every day catcher. Just doesn’t have the build to be durable enough. Google up the Rangers depth chart and compare it, player by player, with one from one of the contenders. It will scare the dickens out of you. I know what you’re saying and I agree some what,but prospects are a crap shoot I rather not gamble, spend the money and sign better players. If Jd could build from within Rangers would not be in the shape there in now. Just don’t want to wait 3 or 4 years and still be in the same boat. Then hear we’re going to the 5 year plan now. That’s a good plan, but implementing it is not that simple. The Rangers are competing with twenty nine other teams for a limited number of quality players. They are not operating in a vacuum. If they had not traded away the farm system to make ill fated play off runs they wouldn’t be in this position. They started taking steps to rebuild the farm system three years ago by slowly rebuilding the scouting department. Starting with last years draft, they implemented a totally different approach to developing pitchers. They have slowed the promotion of prospects through the system vice the rapid approach they used to use, giving them time to develop instead of rushing them and hoping they’ll figure it out. All being impatient is going to buy you is more of the mediocre teams they have been fielding recently. Building a solid foundation from within and when the time is right buying one or two key pieces is, to me, the way to build a winner. Ed I’m not suggesting trading any of the prospects away, keep developing the young kids. But in the mean time (2-3-4) years until the kids develop sign a couple good pitchers to 3 or 4 year deals hay we can always trade these guys for prospects. Not spending money will never make this team better. Because Smyly only cost a net of 1 mil. By signing him the Cubs agreed to pick up Hamels and saved the Rangers that 6 mil. That COULD turn out to be a steal. Another point is that when you trade your #1 starter and 4 of your top 5 pen arms, you don’t expect to compete the following year. 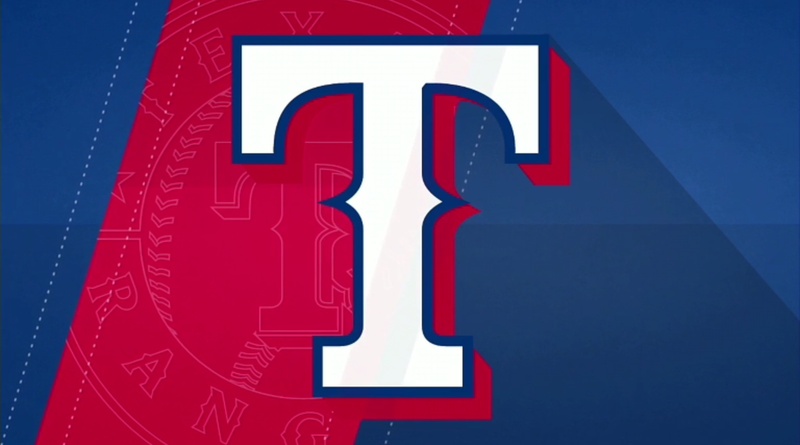 The Rangers have given up on this year aside from a signing or two and should continue making trades where they can continue to stockpile young players, preferably pitchers. Jones maybe 2 for 15-16 ? Any of these young position players can be signed to an extended contract once they reach any of the arbitration years, preferably not before. Or can be traded at any point for pitching. Pitching is always going to be the key during this rebuild which just got in full swing this year. Exactly, and position players are MUCH safer, and easier, to sign to long term contracts. They seldom go down to career ending injuries. It happens, but not often. Signing a position player to a five year deal is no where near as difficult or dangerous as doing likewise with a pitcher. That’s assuming the position player is worth signing to a long term contract. Wakamatsu is coming back, assume as bench coach, but not sure. Bryce Harper turned down a ten-year $300 million deal from Washington on the last day of the season. Think maybe he will get a little bit more. I hope not. Stupid people need to be taught lessons. I hope not either, but someone will flinch. I bet Harper’s market will be better than expected as far as suiters. At this point, catching is of more concern to me than pitching. The Rangers don’t have a solid catcher. I think one of the reasons the let Chirinos go was his lack of durability. The same can be said of IKF, he simply does not have the physique to be an everyday catcher. They are either going to have to buy one, if they can find one to buy, or promote from within. Trevino has the build and plays a plus defence, but his bat is lacking. I’ll take the defence over the bat, but would be happier with a bit more of the latter. A good catcher (and a good offence) can make a marginal pitching staff look much better than they are. My word! I can finally post pics again! I hope it lasts! ← Praise heaped upon new manager.